The James Island neighborhood closest to the historic tip of the Charleston Peninsula, While Point features homes that offer spectacular views of Charleston Harbor, Fort Sumter, The Battery and Ravenel Bridge. A relatively small community of upscale homes starting in the $400s, homes here top out in the million for those on the harbor. Almost all of those homes also feature private docks with true deep-water access on the harbor. Most homes were built from the early 80's to late 90's and are brick, traditional, ranch-style homes that sit on relatively large lots. Square footage of these 3-5 bedroom homes ranges from 2,500 to around 6,000 square feet. 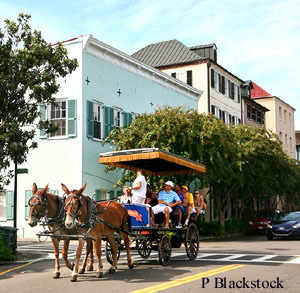 With the James Island Expressway just a mile away, downtown Charleston is just a five-mile trip with no stoplights. 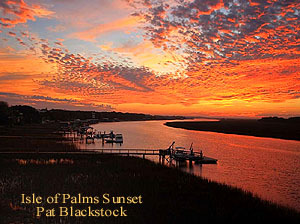 And for beach lovers, Folly Beach is nine miles distant. Just a mile away, the Harbor View Shopping Center offers a Piggly Wiggly, Starbucks and several top local restaurants. Island recreation offerings include the 600-acre plus James Island County Park, home to the Splash Zone Waterpark, a climbing wall, dog park, trails and much more. Also nearby are the James Island Recreation Center with a large outdoor pool and the nine-field Bayview Soccer Complex. Children attend Harborview Elementary, James Island Middle and James Island Charter High School.